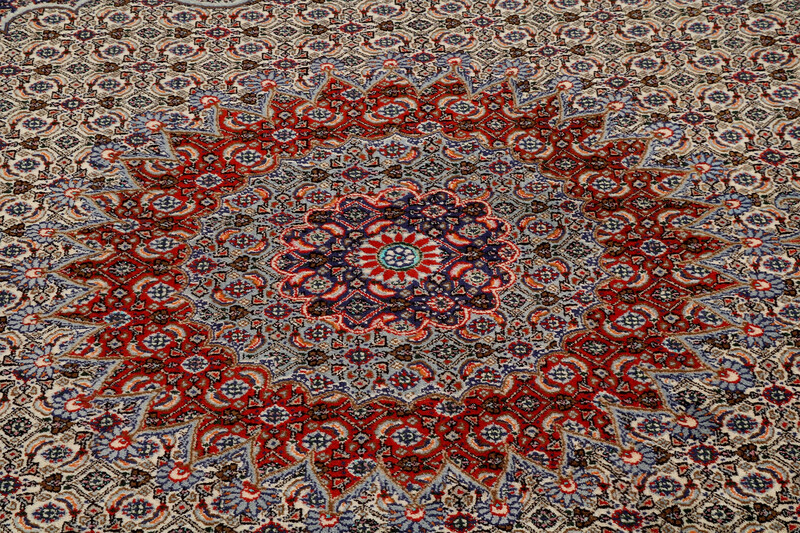 The village of Moud lies in the South Khorasan Province in east central Iran. 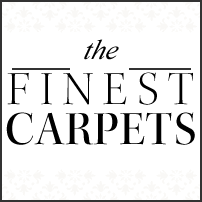 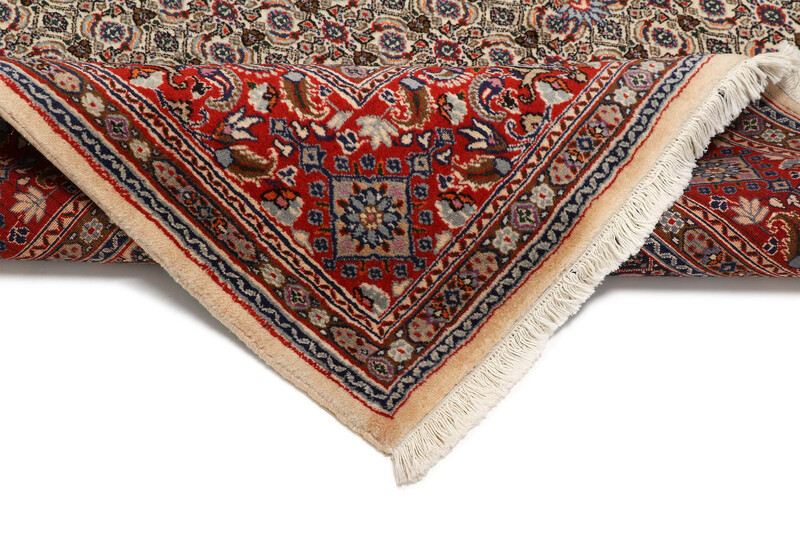 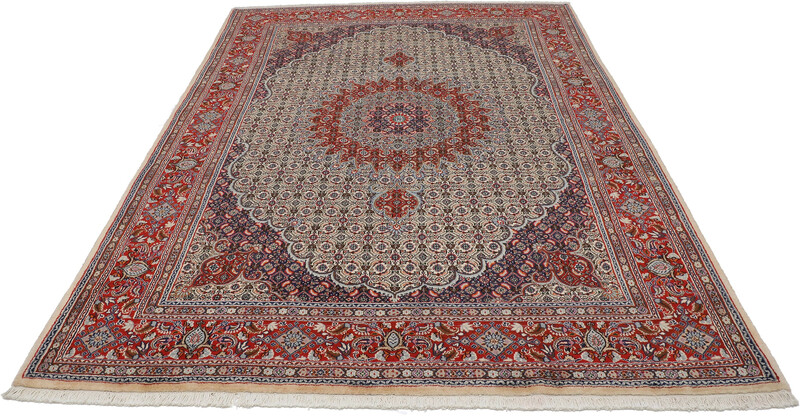 The area is known for its excellent carpets with a tradition that dates back to the Safavid dynasty under Shah Abbas in the late 1500s. 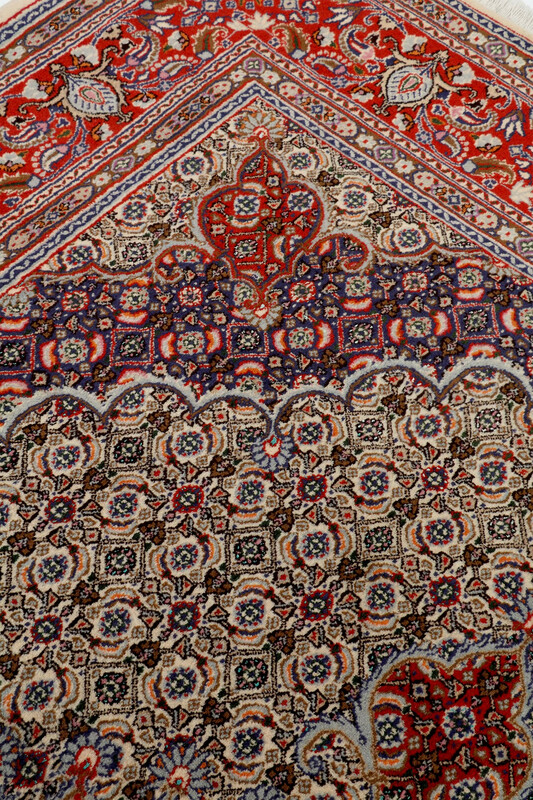 During this period, Shah Abbas established high-quality weaving centers throughout his empire. 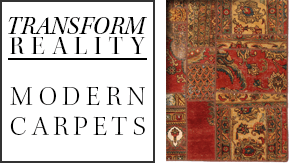 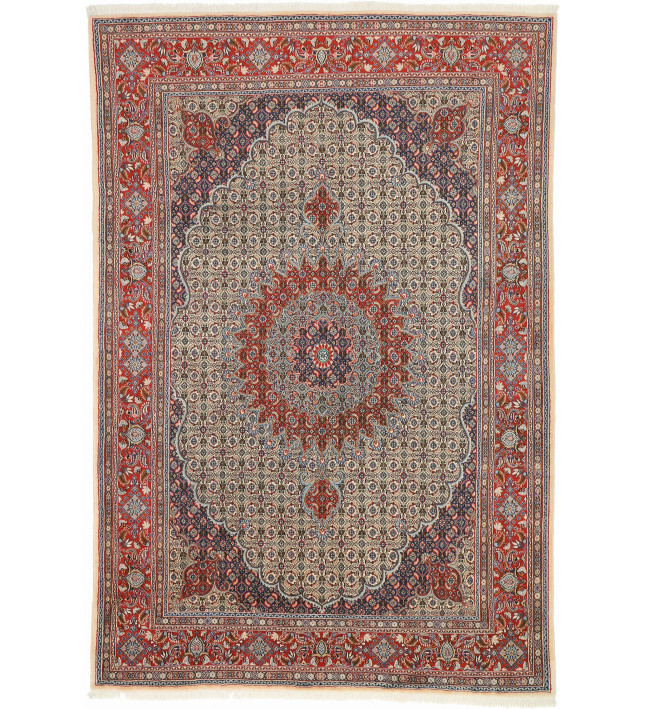 Moud rugs continue the tradition of intricate, curvilinear designs that were used in Safavid-era carpets. 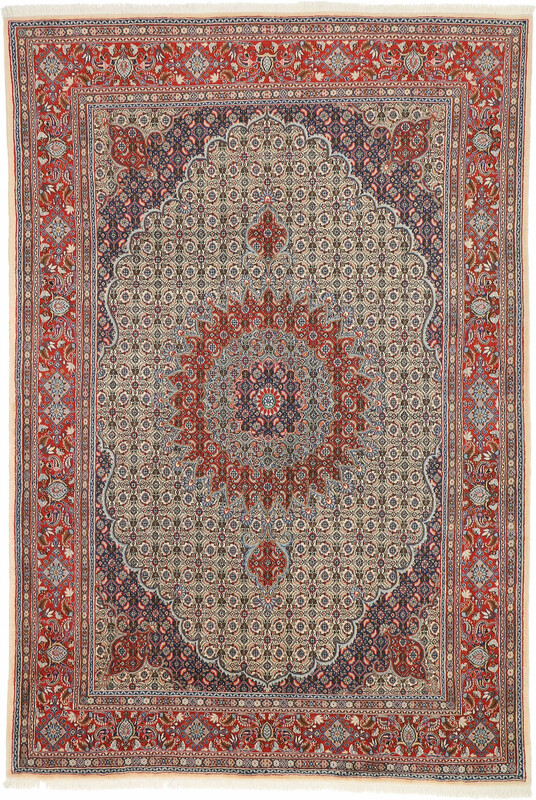 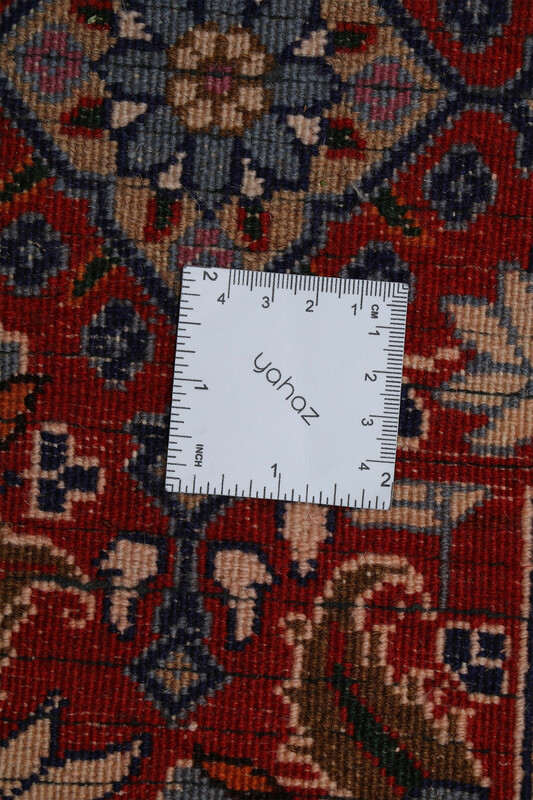 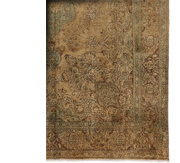 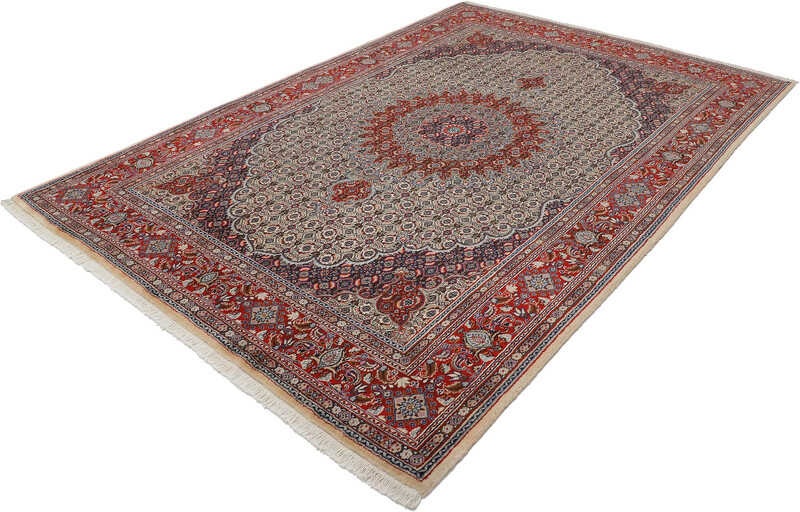 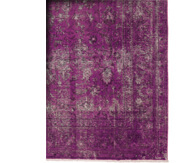 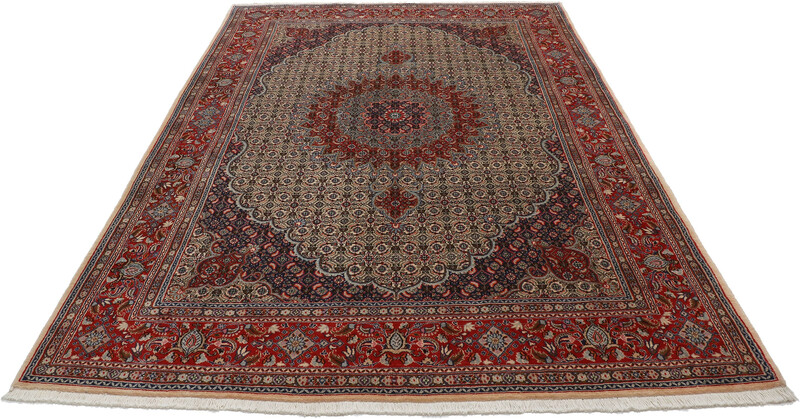 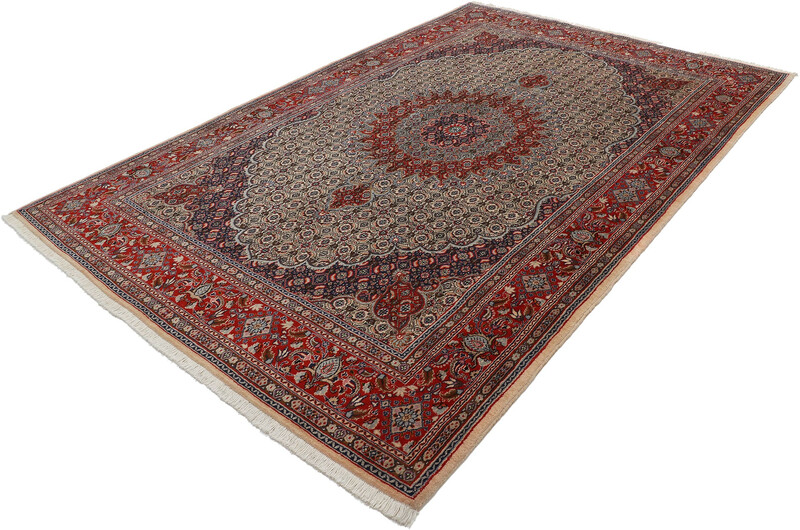 Moud rugs often have a large floral central medallion. 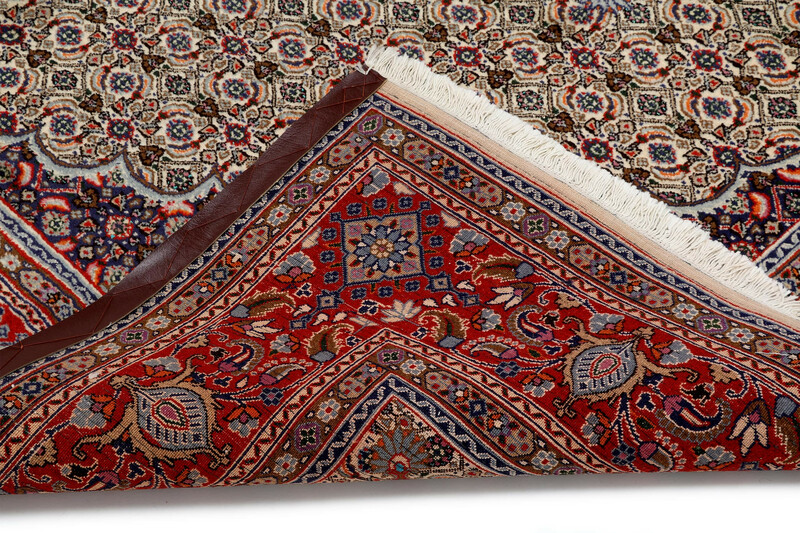 Weavers are expert at using contrasting colors of reds, browns, ivory and blue to display the intricate motifs.